Congratulations to Larry and Laurie Wall for 10 years in business! 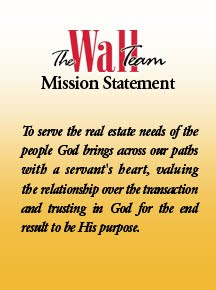 The Wall Team is one of the top producing and expert real estate teams in the nation, specializing in home sales in Colleyville, Grapevine, Southlake, Westlake, Bedford, Euless, Hurst, Keller and North Richland Hills, of the DFW Metroplex. They pride themselves on being the "neighborhood experts" for these areas. They are! Last night I stopped by their party to celebrate their 10 year anniversary in business and their beautiful new office in Colleyville. What an amazing couple they are! I met Larry and Laurie about 8 years ago. I received their newsletter in the mail and could almost hear their voices as I read what they were all about. So refreshing to see that a realtor team actually wanted to be a part of the community by their involvement as well as their committment to their clients. They did this not because they had to but because they really do care about who is in their life. 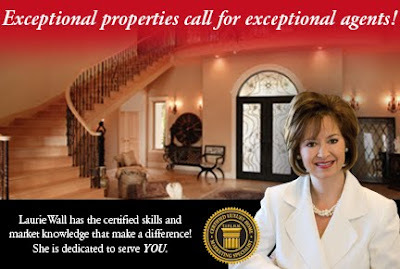 If you are looking to sell your home or purchase one and need a realtor team that will be dedicated to you, listen to your needs and find you the perfect house, Call The Walls. I know from experience that they are AMAZING. The Wall Team sold us our previous home and the one we are in now. We are so happy in this home!. In this economy you need the best of the best working for you. Call The Walls you won't regret it.